This is an oil on canvas painting that measures 18 x 24 inches in a gold 24 x 29 3/4 inch frame, and is signed in the lower left. A luminous painting with incredible colors. 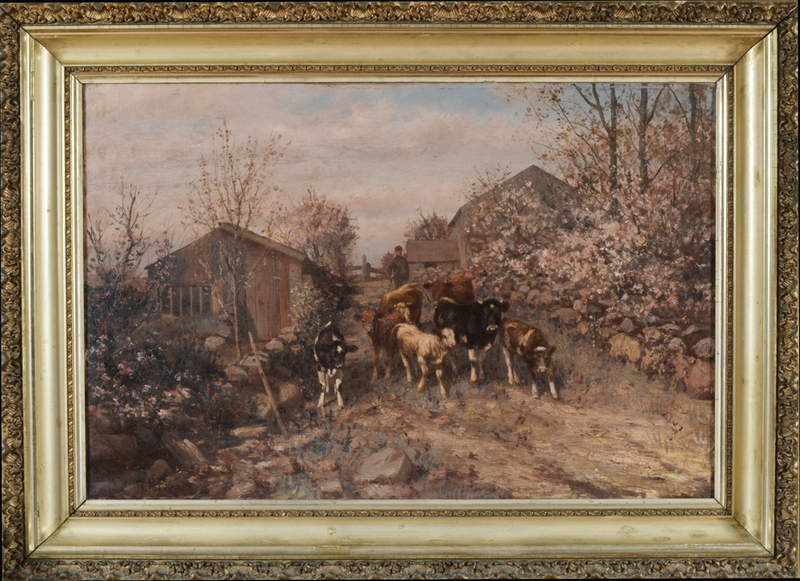 Charles Franklin Pierce was born in Sharon, NH and spent his early years on the family farm, where he found inspiration for his paintings. In 1864 he moved to Boston to attend art school and from there went to England, Scotland, and Wales to sketch the countryside. 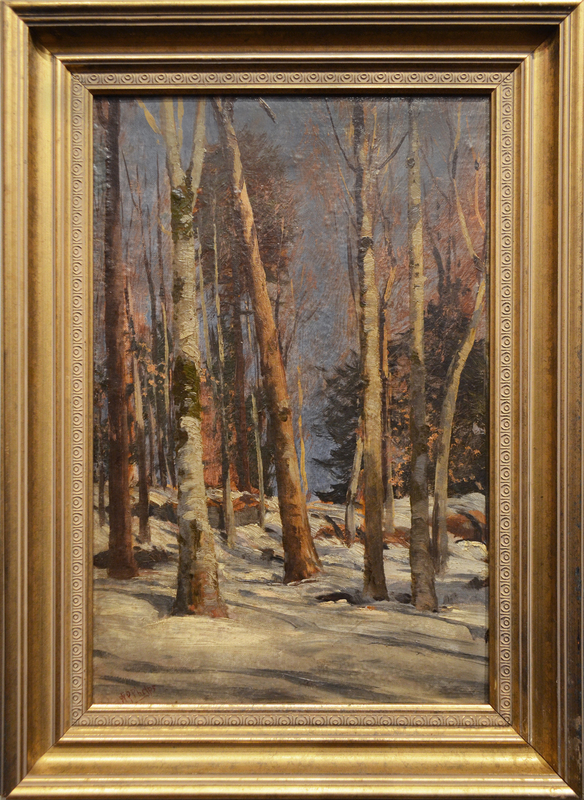 Pierce moved back to Boston, became a leader of the Boston Art Club, and married Luena Wilder of Peterborough, also a notable artist. Together they spent over a year in Europe before returning to New England, whereupon they bought a house at 59 Pine St. in Peterborough and remained married for 30 years until her death in 1906. Six years later, he married Sarah Katherine Plimpton of Massachusetts. 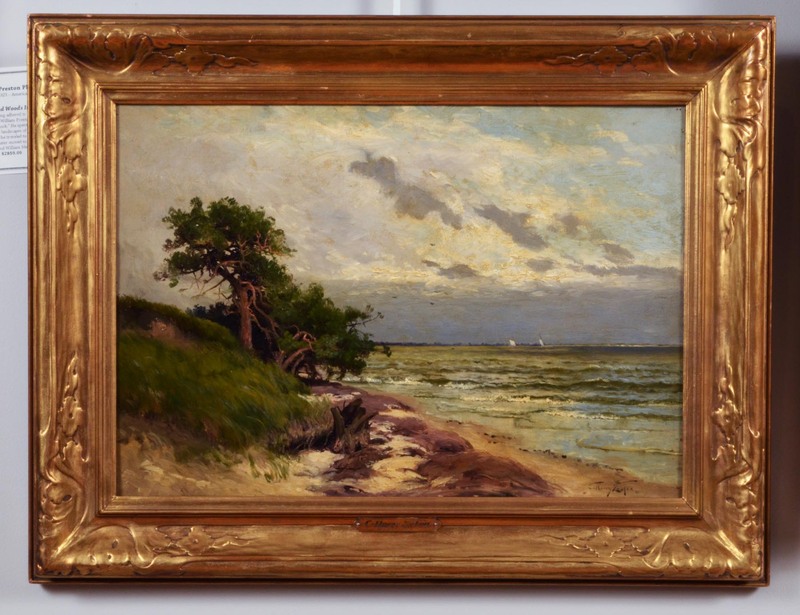 They continued to live at his estate in Peterborough and in Brookline, Massachusetts, where he painted until his death in 1920. 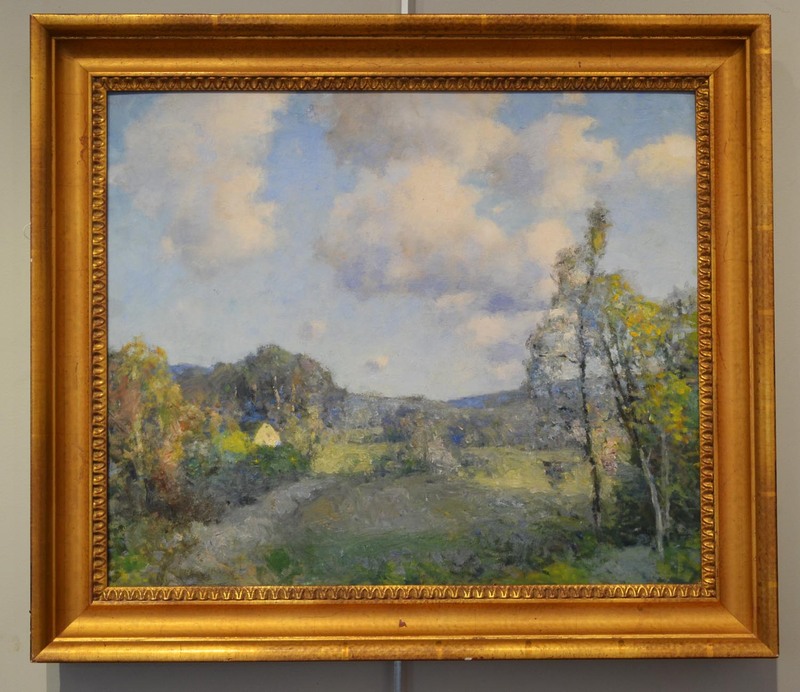 This painting was shown at the Worcester Art Museum in the 1902 Summer Exhibit , the label is on the back along with a brass plaque from a Boston framer. 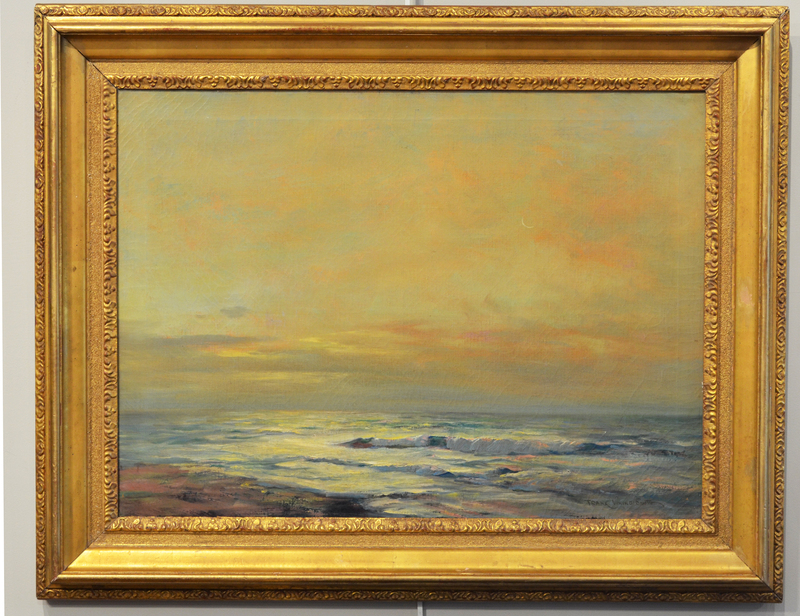 Included in the show that year was the work of Frank Benson ,Edmund Tarbell, Mary Cassatt, Edward Redfield and Childe Hassam. The painting measures 30X22 inches, it is signed lower left but only is visible with a direct light, a black light shows it well. 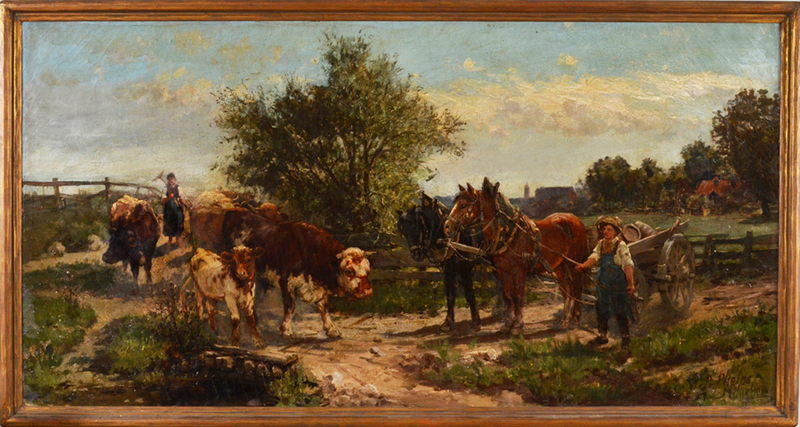 The painting is titled "Charlotte", probably painted in 1901-02. 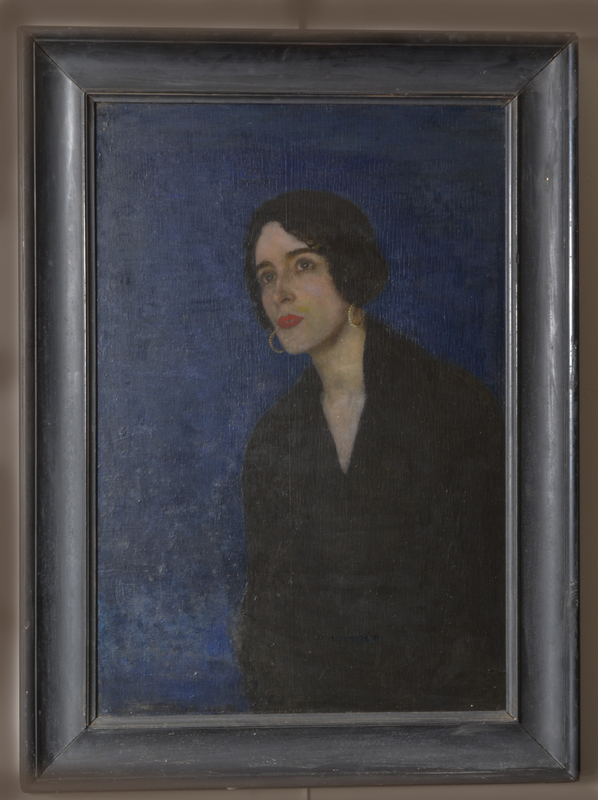 Daisy was an American Bahá'í, painter and roommates with Juliet Hutchings Thompson .. Although Married Daisy was quite independent. She and Thompson traveled together extensively by them selves. 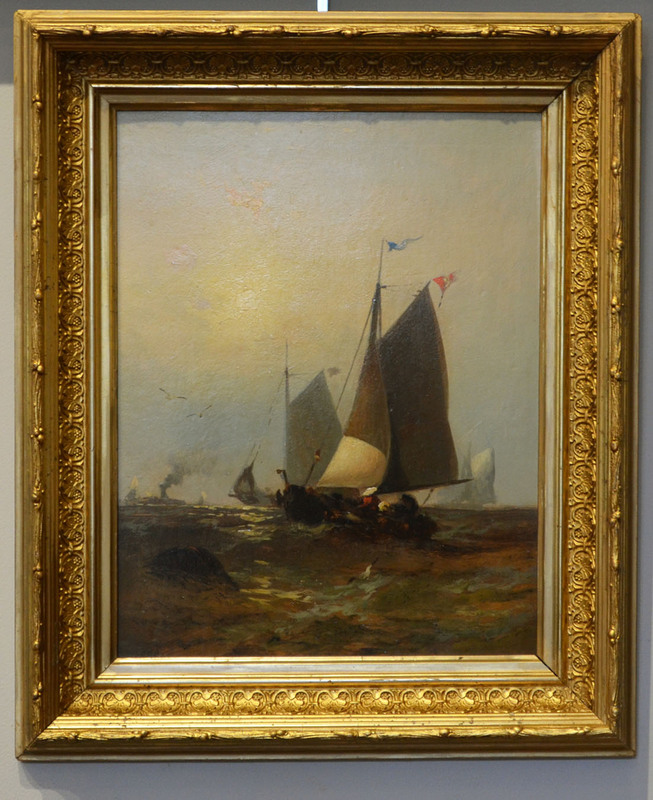 While her works are quite rare this one does show some of the early influences of Thayer and of course many of the later French artists of this time period. 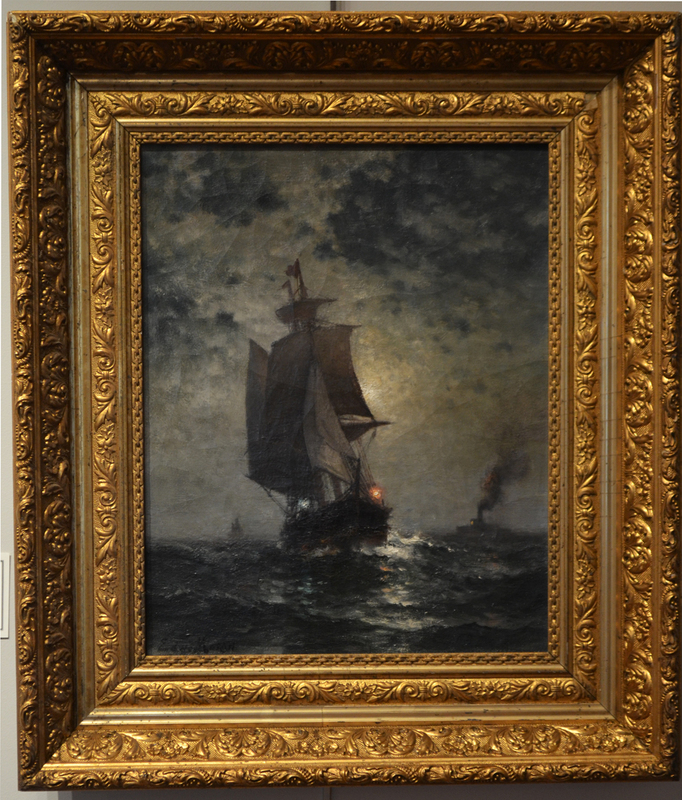 This is an original oil on canvas painting by American artist James Gale Tyler (1855-1931) Tyler is the well known marine painter of the age of sail. 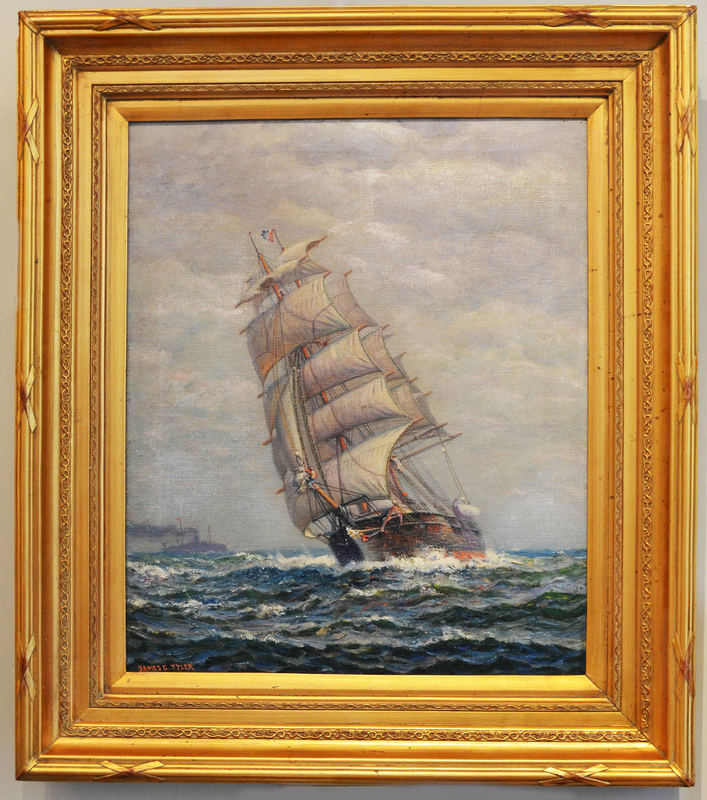 The title of this piece which appears hand written on the back is: "Clipper nearing Port", this painting was done circa 1900. It has a canvas size of 24X20 inches and is in a heavy modern hand carved frame. The overall frame size is: 32X28 inches. The painting is clearly signed lower left. The painting is in good shape, no tears or inpainting, not relined it could use a very light cleaning but it is quite presentable as it now appears. Ready to hang on your wall. 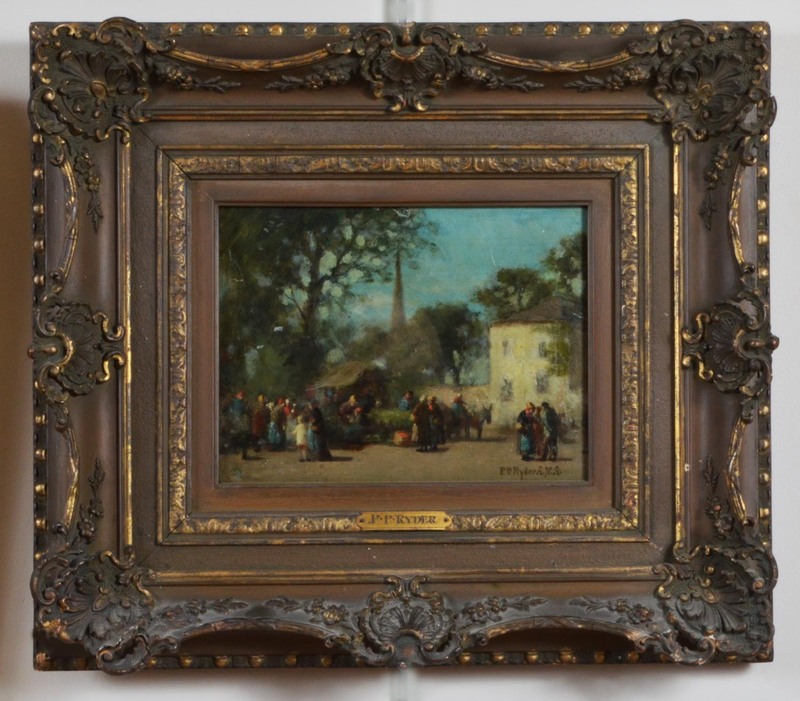 Oil on panel, 9 x 11 inches, 1874, signed and dated lower right, in a period gilt frame. 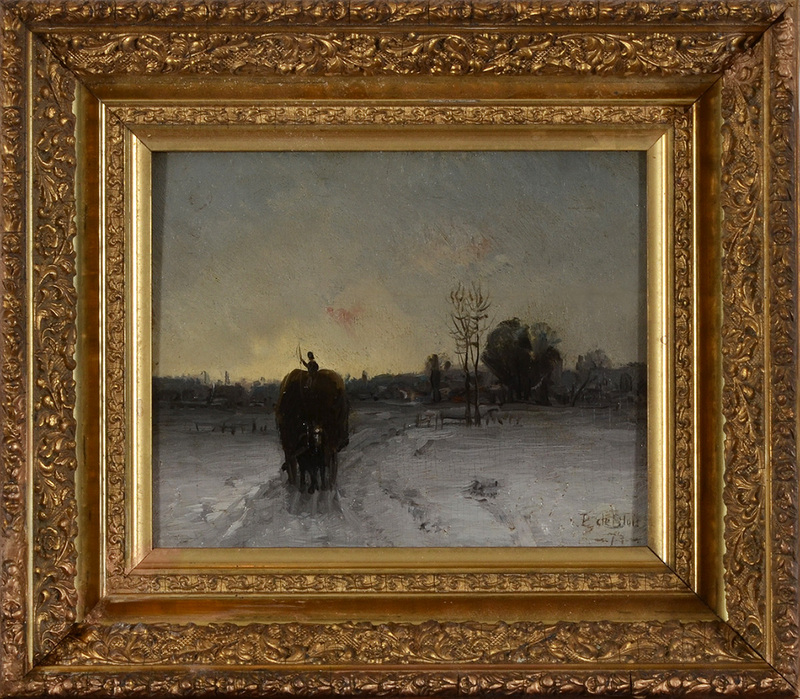 This is a wonderful tonalist view of a horse drawn hay wagon bound for home in the bleak cold of winter. 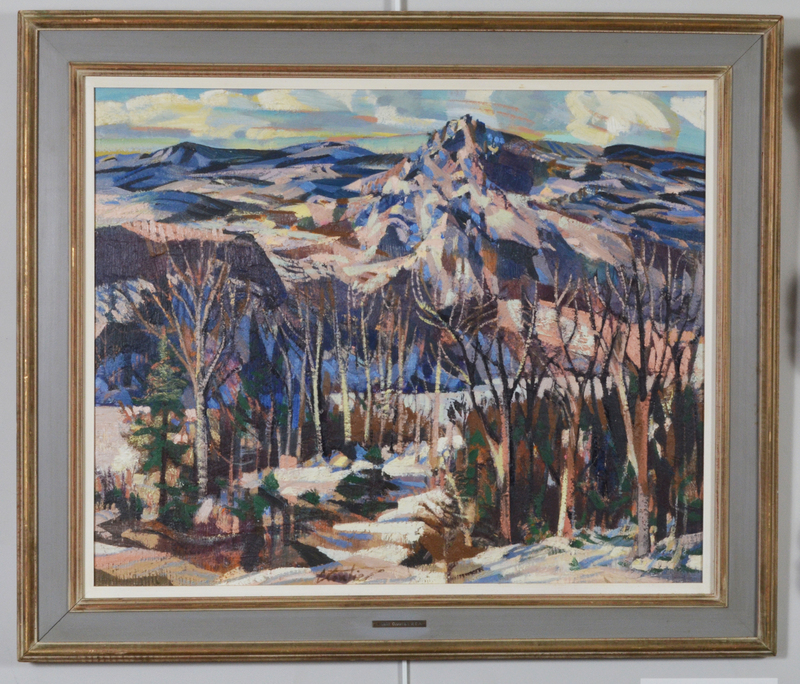 This painting is by well known Canadian painter Francois B. De Blois. 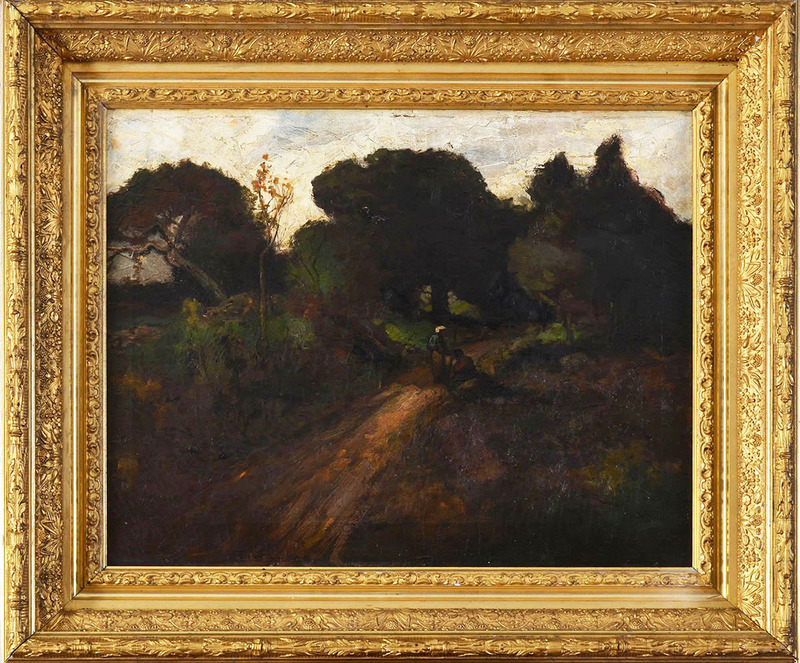 His formal art education includes studies in Europe under Charles-François Daubigny, probably in Paris or Auvers sur Oise a suburb to the north of Paris; and under Vincenzo Marinelli in Naples, Italy. De Blois’s paintings were exhibited in the Paris Salon in 1878; and in the United States with the Boston Athenaeum 1867 – 1873, the Brooklyn Art Association in 1874, the Boston Art Club 1875 – 1882, and the National Academy of Design 1880 – 1882. More recently, a De Blois painting was included in the 2008 exhibition titled “The Grand Tour Art and Travel, 1740 – 1914” at the Indiana University Art Museum.